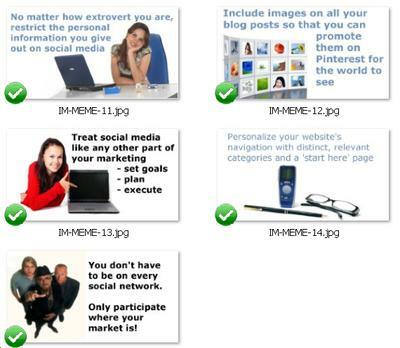 The total word count on these articles is 2,530 words and includes a bonus set of IM themed memes to brand with your site and share on the social networks to drive you more traffic. How do you get your list to not only increase in size, but in responsiveness? Responsiveness is very often more important than list size. After all, what good are a bunch of subscribers if you can't get any of them to buy? The 90/10 rule is the "secret" to list responsiveness. It's one of the most proven methods for building trust and credibility with readers. Using this technique, your readers will actually read your sales messages when you send emails to them instead of click "Delete" in the blink of an eye. => What Is the 90/10 Rule? The 90/10 rule basically says that your emails should contain 90% high quality content and 10% sales pitch.